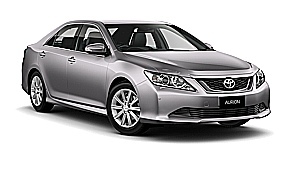 Toyota Aurion V6 is for drivers who appreciate attention to detail and intelligent, innovative engineering. It blends luxurious finishes with power and technical prowess; delivering a driving experience that is pure, unadulterated luxury. 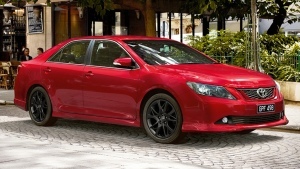 Aurion is shaped to be aerodynamically efficient as well as elegant. The well crafted finish and surface quality create a stylish and contemporary appearance that’s uncluttered and well defined. Contrasting textures combined with curved surfaces create a sense of space within the cabin, while extensive sound-insulation helps ensure that you can listen to the car’s audio or hold a conversation without the intrusion of engine and road noises. The latest aerodynamic features, Electric Power Steering (EPS) and suspension specially tuned for tough Australian roads help to deliver smooth yet dynamic ride and handling. 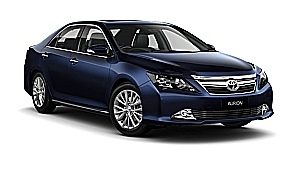 The Aurion range is awarded with the maximum 5-star ANCAP rating. 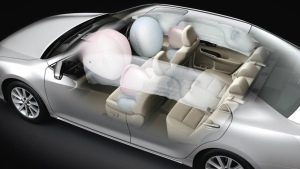 Aurion features seven SRS airbags, including a driver’s knee airbag, seat belt warning indicator to all occupants, Anti-skid Braking System (ABS), Vehicle Stability Control, Traction Control, and a Reversing Camera [B4]. All Aurion grades are fitted with a powerful multimedia system that will play music from a variety of devices including iPods® [G8] [G5] and compatible MP3 players [G5], and connect Bluetooth® [B5] enabled mobile phones for hands-free calls. 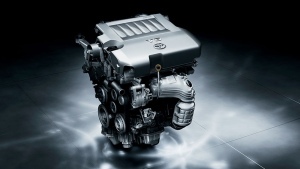 Aurion V6 features a powerful 3.5L Dual VVT-i engine that is fuel-efficient – 9.3 L/100km [G1] and generates surprisingly low emissions – 215 g/km [G1]. 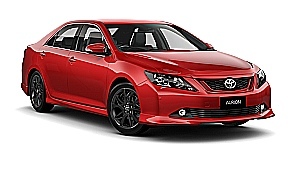 Toyota Service Advantage is one of the many great included features of owning an Aurion. You get low cost, capped price, standard logbook services at $140 for the first 4 years or 75,000km, whichever occurs first [T1]. [B4] Reversing Camera/Park Assist/Sonar Parking/Driver Fatigue Monitor/Blind Spot Monitor/Lane Departure Alert/Reverse Cross Traffic Alert/Brake Assist are a driver assist device only and should not be used as a substitute for safe driving practices. 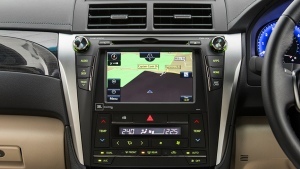 The area into which the vehicle is driven must be visually monitored by the driver. [B5] The Bluetooth® word mark is owned by Bluetooth SIG, Inc. Not all devices will be compatible and functionality will vary depending on the device. 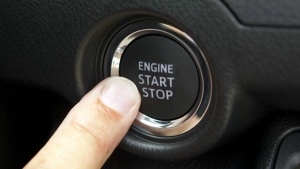 [T4] New Vehicle Warranty expires 3 years from the date of first delivery or 100,000 km, whichever occurs first. Refer to the warranty conditions. The New Vehicle Warranty does not limit and may not necessarily exceed your rights under the Competition and Consumer Act 2010.